You’re the dog owner who knows happiness is healthy. 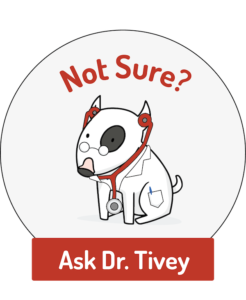 The confusing thing is there’s a lot of information about canine health out there and simply following your gut instinct isn’t enough! At Dig-In we like to keep it simple. Dig-In Digestive Gravy Powder works by naturally helping your dog’s gut flora to boost their immune system resulting in a whole host of clinically-proven positive health outcomes for your pet. Dig In aids in fighting off the nasties and laying the foundation for truly healthy, happy dogs. Supplements, Dog Probiotics, Dog treats... what’s right for your pet? Naturally helps correct the digestive process? Artificial colours, flavours, or preservatives? A mycotoxin is a toxic product caused in metabolism by organisms of the fungus kingdom and is capable of causing disease and death in dogs and even humans. Microbiota is the name given to the ‘gut flora’ or the microbe population living in the digestive system. It can include trillions of microorganisms, including at least 1000 different species of known bacteria with more than 3 million genes. Intestinal microbiota directly affect the development of your dog’s immune system. Without a healthy balance or equilibrium of these microbiota in your dog’s system, mycotoxins, amongst other nasties, can overwhelm the good bacteria in your dog’s gut and lead to multiple negative health outcomes including poor immune response, heightened allergic sensitivity, lethargy, skin problems, joint pain, etc. However, adding Dig In Digestive Gravy Powder’s naturally formulated mix to your dog’s food can encourage the perfect digestive conditions for strengthened immune functions to prevent, manage and cure many canine ailments. Plus your dog will love it! We are completely transparent about the scientific evidence behind Dig In. If you’re interested in the numbers, charts, and scientific data, we’re happy for you to read the full scientific research into Dig In’s powerful formula for dogs. Get in touch to get the full story. Will Dig-In be suitable for my puppy, mature or older pet? Yes. Dig-In is suitable for dogs of all life stages. Yipee! Does Dig-In contain any artificial colours, flavours, or preservatives? No! It doesn’t. Dig-In is a specific blend of food ingredients, and all these ingredients are certified food safe and have GRAS standing (which stands for “Generally Recognised As Safe”). My dog has been ill recently, should I add Dig-In to his/her diet now or should I wait until he/she is better? While we have seen dogs thrive on Dig-In, we want to make sure that your vet is kept informed should you wish to start your pet on Dig-In if he/she has a pre-existing illness. If you would like us to speak to your vet, please pass on our contact details below and one of our senior scientific team will be more than happy to discuss the application of Dig-In for your pet’s treatment. Dig-In was developed with Veterinarian Dr Tivey. If your dog has a special condition or you’re just not 100% sure if Dig In will help your pooch, shoot us a question and we’ll get back to you as soon as possible with all the information you need. So, Ready to make your dog happy and healthy?